When you purchase in Regatta Bay you are purchasing more than just a home you are buying a lifestyle. Regatta Bay is located in the middle of Destin's finest shopping and activities. Leave the car at home and jump on your golf cart to enjoy shopping or dining at Destin Commons, boating at Legendary Marine or a round of golf at Regatta Bay's #1 ranked golf course. The list goes on with a short bike ride or golf cart ride to Whole Foods and several of the area's finest restaurants. This beautiful custom home is situated on both golf course and lake offering breathtaking views. Newly constructed and built by Destin Custom Home Builders who pride themselves on going above and beyond what is expected by using only the best materials and techniques such as: Wind and Impact Resistant Windows & Doors Insulated Garage Doors Foam Spray Insulation in Roof for Superior Energy Efficiency Stainless Steel Screws, Nails, Flashing & Straps Treated Plywood on Lower Section of All Exterior walls Specifically Designed to Maintain Integrity & Durability Custom Solid Wood Cabinets & Cabinet Doors All Interior Walls Insulated for Soundproofing Moisture Resistant Sheetrock used in all Bathrooms Sound Insulated A/C Ducts Solid Core Interior Doors Strong tie cable hurricane system Tankless water heater with recirculating hot water lines for instant hot throughout the house This beautifully constructed and brand new 4 bedroom and 4.5 bathroom home is sure to please. Featuring a great open floor plan with plenty of room for entertaining and relaxing. The outdoor living space and summer kitchen has over 700 feet of room to stretch out and enjoy the Florida breeze all while taking in views of the golf course and lake. Covered and protected from the Florida sunshine but also equipped with a beautiful fireplace for those chilly nights. 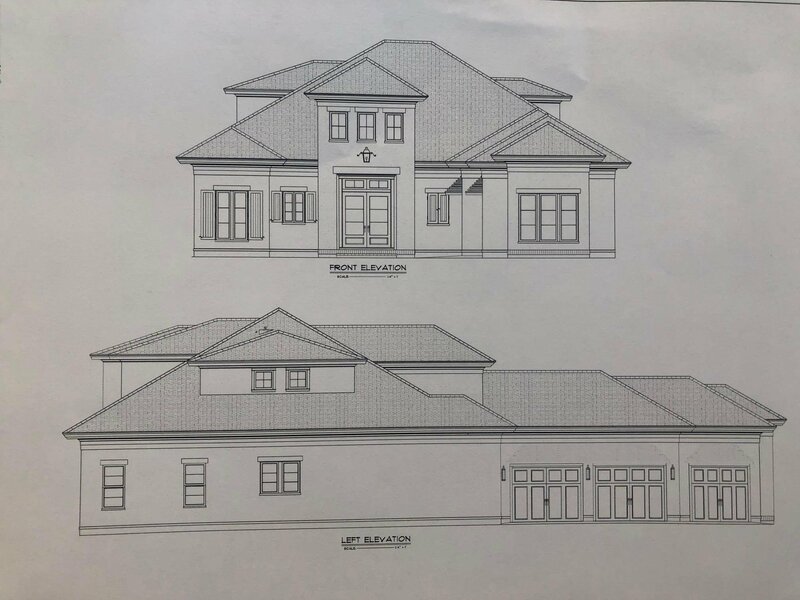 This new home will be designed with high quality fit and finishes including marble countertops, hard wood flooring, chef's kitchen, and 3 car garage, just to name a few. Please don't miss out on the opportunity to live and play in Regatta Bay.